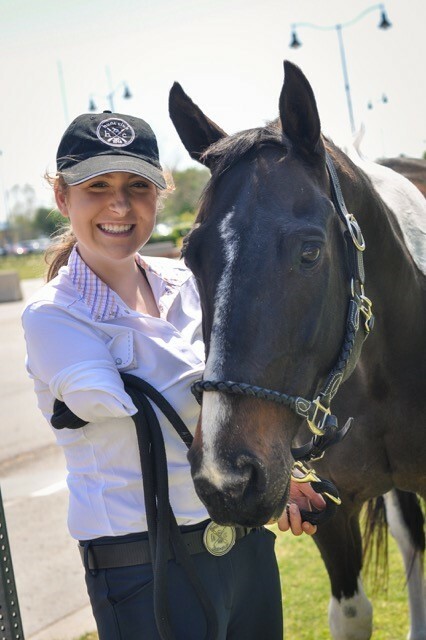 While Lily has a prosthesis, she doesn’t wear it often and doesn’t ride in it. 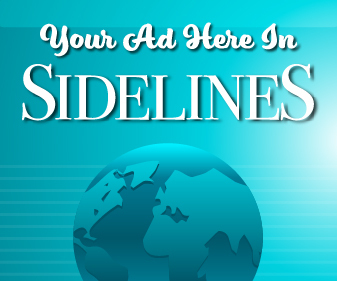 It was an unusual scene when Lily Rhodes — bruised, battered and missing her right arm — was wheeled through the emergency room in perfectly good spirits on the heels of a horrific ATV accident. Even at 14, Lily was already looking on the bright side of life. 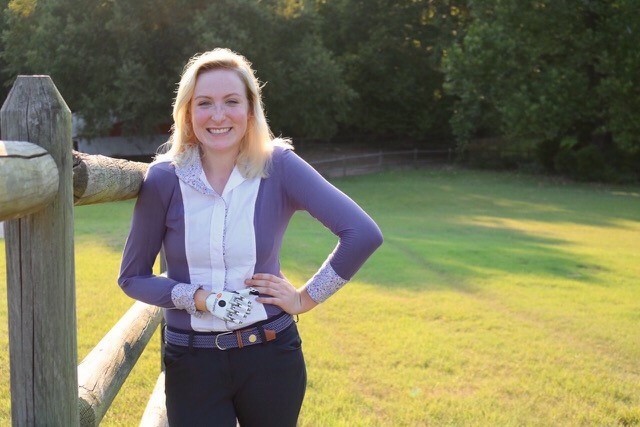 A month after the incident, Lily was back in the saddle and, while she opted to stick with dressage, she quickly realized one component of her equestrian career would have to change. Lily’s adolescent mount was a Haflinger pony who — unsurprisingly — was a tad heavy on the hands. 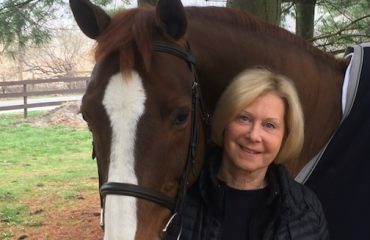 Though Lily describes the pony, named Pippin, as a safe and sweet horse with “the biggest heart ever,” he wasn’t exactly receptive to the light hand aids Lily would need to employ going forward. Together, the duo are competing at Training Level working on some of the basics like maintaining the right headset — something Lily jokes Charlie hasn’t quite worked out yet. 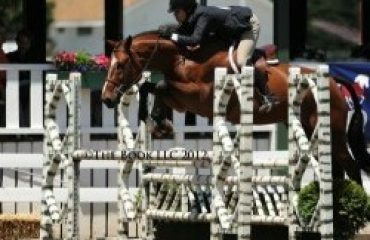 But while she’ll gladly take her time building a solid foundation, Lily knows Charlie is the perfect horse to advance through the levels with. Luckily for Lily’s 30,000-plus Instagram followers, she’s been sharing her adventures online. 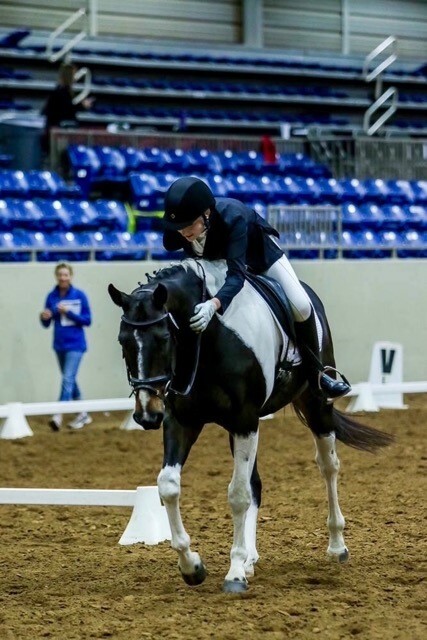 From afternoons spent hand grazing to time in the ring, Lily, who’s been known to coin herself on Instagram as “amp-tastic,” chronicles her passion for horses through photographs of her experiences. 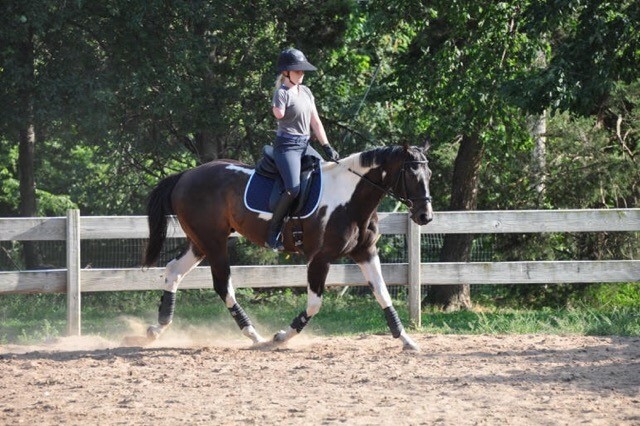 “All the time, I’ll just happen to get a cute picture of Charlie and I’ll post about how cute he is and how much I love him,” she said of her channel, which almost exclusively features photos of the Paint gelding. But her Instagram account is much more than fan service for fellow Paint enthusiasts. 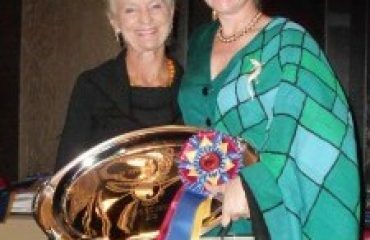 It’s also the platform she uses as an ambassador for US Equestrian’s “Discover the Joy of Horse Sports” campaign — in which social-savvy ambassadors promote the reasons they love the sport. Needless to say, the star of Lily’s page, Charlie, tops her list. Lily giving Charlie a pat while competing at their first show together. 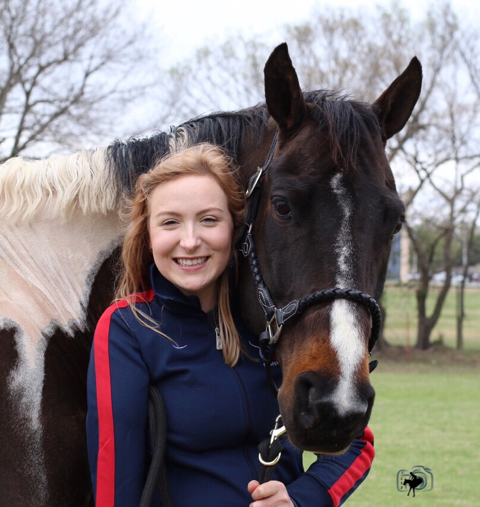 What she does plan on pursuing, however, is riding on a college team and one day becoming a para-equestrian trainer. “Even if I didn’t have the same disability as someone, I might be able to relate more with them,” she said. 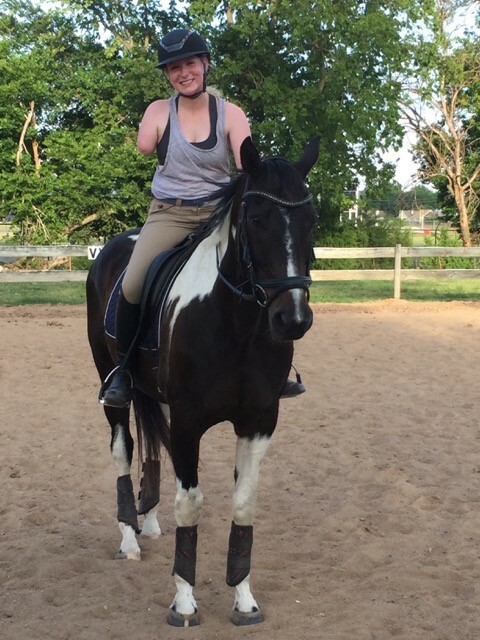 But for now, she’ll simply enjoy the pleasures of riding and the exhilaration of advancing one step at a time because, amputee or not, horses are life for Lily Rhodes — and nothing can take that joy away from her.